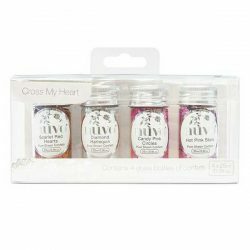 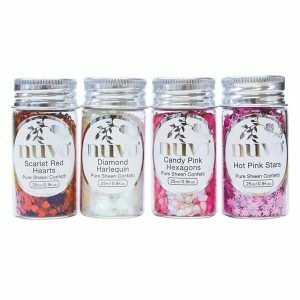 Cross My Heart Pure Sheen Confetti by Nuvo-Tonic Studios. 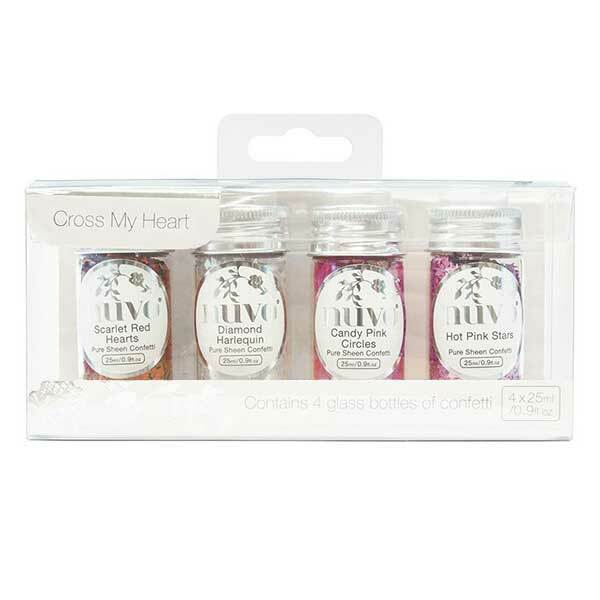 decorative glass bottles which are easy to pour and return the confetti for future use. 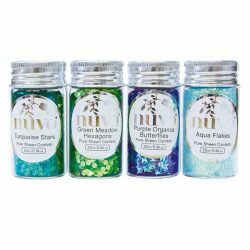 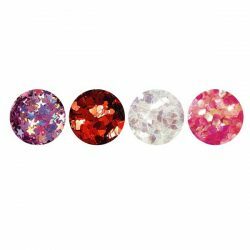 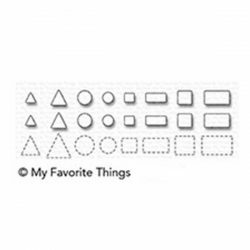 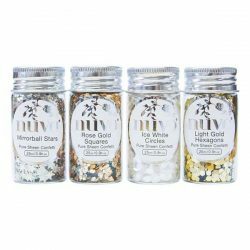 Offers unique iridescent and flat glitter colors that are perfect for special occasions and creative projects. 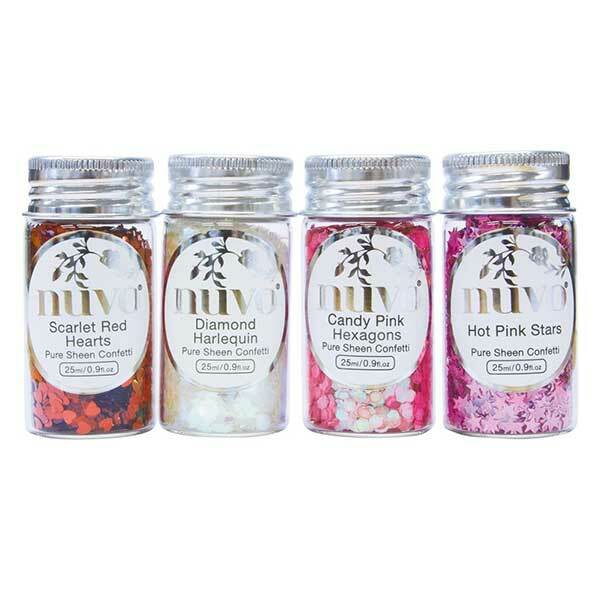 All packs are available in matching color palettes, allowing you to coordinate your creations across the range.